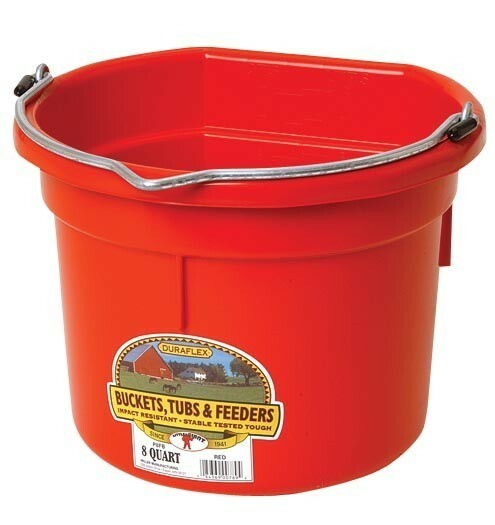 Flat-Back Buckets fit compactly against a wall or fence and are easier to carry than round buckets when full of water or feed. 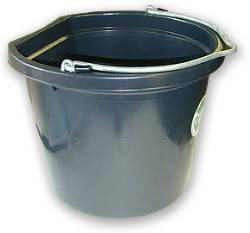 Buckets are made from polyethylene resin that is highly resistant to breakage, warping and stress cracks. Several colors available. Buckets are 11.5" across the top and 8-3/8" high. 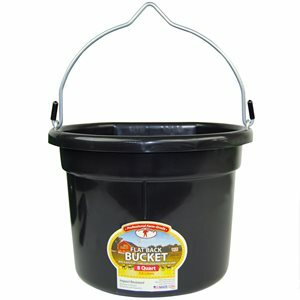 This flat side wall bucket for feeding and watering, secures to the wall with wall bracket (sold separately). The flat side also makes for easy toting!